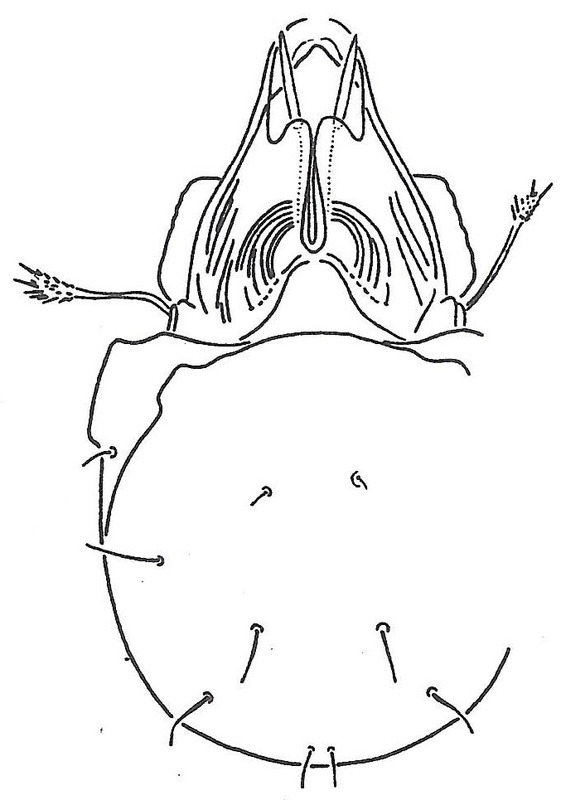 Dorsal view of Cosmozetes striatissimus, from Balogh & Balogh (1992 vol. 2). Contains: Acaroceras (Acaroceras), Microzetes (Microzetes). The Microzetidae are a cosmopolitan group of very small pteromorph-bearing oribatid mites. Characters (from Balogh & Balogh 1992): Very small, length 150–250 µm, exceptionally to 460 µm. Chelicerae with small corniculi. Lamellae usually very large, lamellar system complicated. 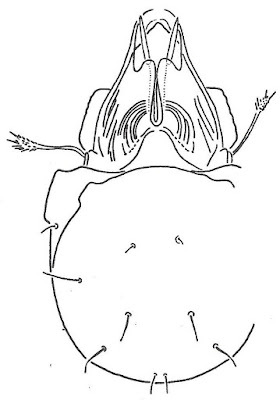 Notogaster usually broad; pteromorphae immovable, long; octotaxic system absent. Apodemata IV thickened. Six pairs of genital setae.